Polaroids are well and truly back. Instant photography has been bubbling along for a few years but a wave of nostalgia inspired by the likes of Netflix drama Stranger Things, coupled with a brand new Polaroid camera, is putting the distinctive square snaps back on the map. The story of instant photos goes back to 1937, when Edwin Land founded Polaroid. The company popularised instant snaps but went bankrupt in 2001 and scrapped instant film production in 2008 as digital cameras took over. Shortly afterwards a brand known as The Impossible Project bought Polaroid’s last factory and film stock. Since acquiring the Polaroid name this year, it has relaunched as Polaroid Originals with a new retro-styled camera, the OneStep 2 (£109.99). Designed to resemble the original OneStep from 1977, the new camera takes both classic 600 film and Polaroid’s new i-Type film, and has a built-in flash, a self-timer for selfies and a 60-day battery life. But what exactly is it about instant photography that makes it so appealing? The full article appeared in the 24 November 2017 issue of Metro and can be also be viewed in the e-edition. The first thing you need to know about the Impossible Project Instant Lab Universal is that it produces Polaroid-style photos from your smartphone snaps. The second thing you need to know is that it’s a camera, not a printer. Unlike the rather disappointing Polaroid-branded Zink printers, the Instant Lab produces actual Polaroid-esque photographs. That’s because Impossible Project cleverly bought Polaroid’s remaining factory a few years ago in order to manufacture its own film, which is designed to work with vintage Polaroid cameras and, of course, the Instant Lab Universal. 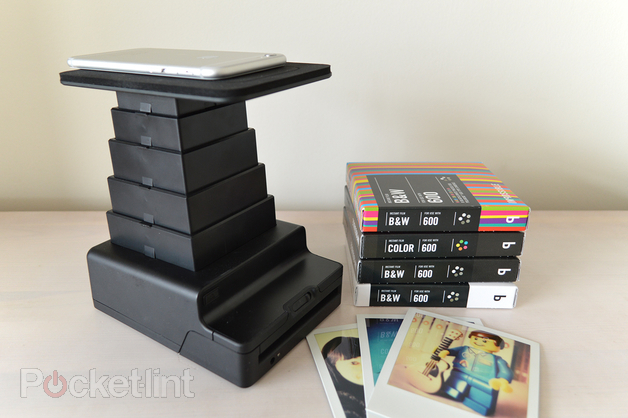 The original Instant Lab was launched in 2013, but only worked with the iPhone 4, 5, 5S and iPod touch. The new Universal model, however, is designed to work with more devices thanks to new “touch location technology”. This means it supports phones from Samsung, HTC and Google (Nexus), as well as the iPad. Screens need to be high-res (approximately 300ppi) and run on Android 4.0.3 (Ice Cream Sandwich) or above. We’ve unleashed our inner hipster and have been testing the Lab using an iPhone 6, iPad Air 2 and the HTC One M8. It’s a lot of fun, like a big kid’s toy. The Lab Universal sports a simple yet functional design, with a sturdy metal base along with a plastic bellows-style extendable turret with a phone cradle on top. 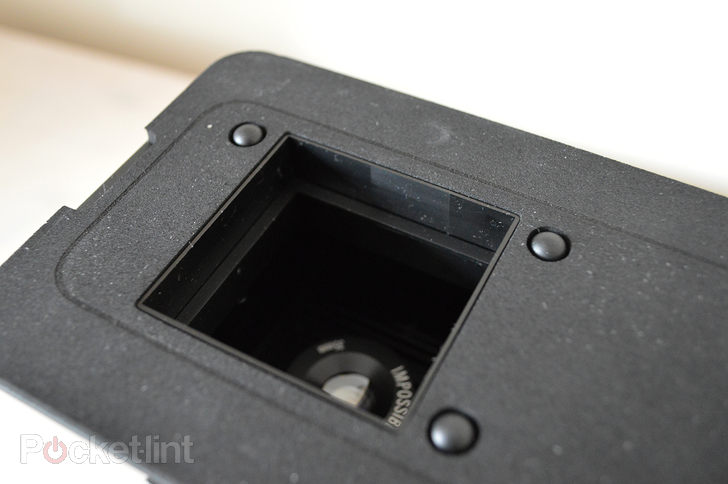 The only controls you’ll find are the latch for opening the film bay door at the bottom – where the film cartridges can be easily slipped in – along with an eject button to pop out the exposed photo. To the top are three sensors on the cradle – representing the touch location technology part of things – used to detect when a phone is placed there. For larger devices, such as an iPad, these act as essential points to communicate with the app and let it know which portion of the screen is in play, then re-adjust the photo’s placement on screen so the Lab can make a duplicate exposure of it. A removable adaptor can be used with iPhones 4/4S/5/5S/5C, but for Android devices not everything is compatible just yet. The brand new HTC One M9 is one such unsupported example (we did try it out, but it was a no go). Check with Impossible Project for compatibility prior to purchase if you’re concerned. You can read the rest of the article at Pocket-lint.com (originally published 25 March 2015). For those of us living in large towns and cities, we rarely get to see the stars due to round-the-clock light pollution so it’s often assumed that photos showing spectacular starscapes have been produced in Photoshop. However, as the stunning pictures of the recent Geminids meteor shower prove, it is possible to capture incredible starscapes on camera, just as long as you step away from the street lights. Professional snapper Andrew Whyte (@LongExposures) makes a living from doing just that – he’s one of the UK’s leading night photographers and is also well known for his quirky Lego man photos. 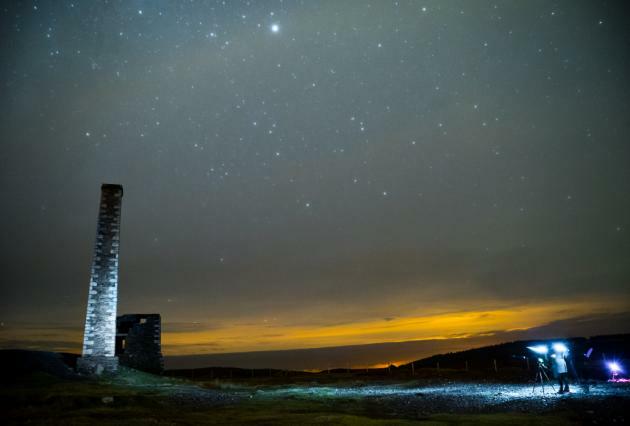 We tagged along on an astrophotography shoot with him to learn how to shoot the night sky. Where can I shoot the night sky? While it’s possible to shoot the night sky in the UK, plenty of preparation is needed and that all starts with the location. Wide-field astrophotography – which involves capturing the night sky with a normal camera, without the need for a telescope – requires a location that’s largely free of light pollution. These areas are known as ‘dark sky’ sites and can be found all over the country. 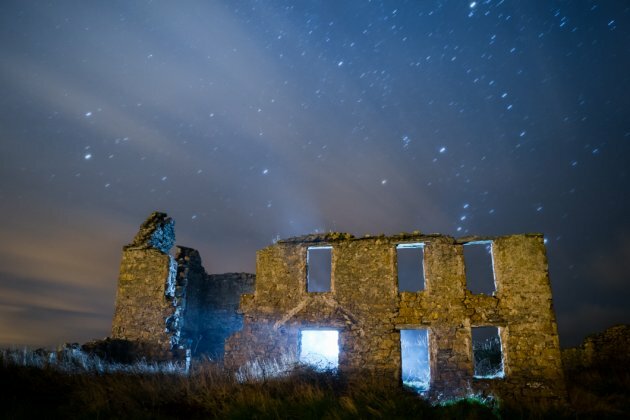 It’s also a good idea to research the area and find out about any features – like buildings and monuments – that can be used as a foreground to your starry backdrop. We took our shots around Douglas on the Isle of Man, but you can find out which sites are closest to you with a quick internet search. Dark Sky Discovery is a useful place to start. ‘I’ve found XCWeather to be fairly reliable for forecasting cloud cover, and timeanddate.com provides my lunar phases and timings. A guy known as @VirtualAstro does a great job of updating Twitter with information like the times of the International Space Station passing over and aurora alerts’. While most cameras offer a range of pre-set shooting modes with some even including ‘night sky’ options, you really can’t hide behind these when it comes to astrophotography, says Whyte. You can read the rest of the article at Yahoo News UK (originally published 19 December 2014). Lomography’s Lomo’Instant is the most advanced instant camera yet, and the result of a crowdfunded Kickstarter campaign. With the rise of the selfie and concerns over cloud storage of digital snaps, Polaroid-esque instant cameras have made something of a comeback. This model from analogue camera expert Lomography is the latest version to hit the shops, but what sets it apart from the others? The Lomo’Instant offers far more control than you get with any other instant camera, including a selection of removable lenses, different shooting modes, aperture control and the ability to take multiple exposures. The first models went out to Kickstarter backers in October, and the Lomo’Instant is now available to everyone. 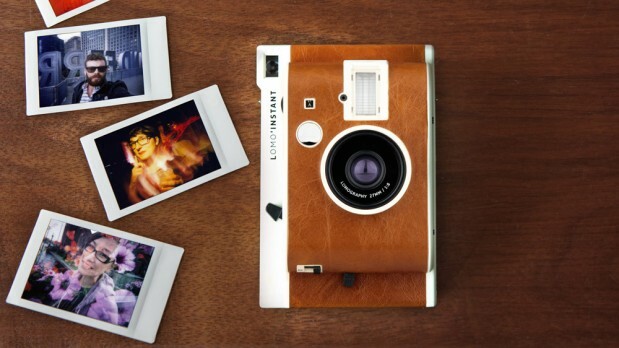 The Lomo’Instant sports a pleasingly retro design, although the box-like design means that it’s rather bulky. With the exception of the incredibly cool Fujifilm Instax Mini 90, instant cameras in recent years have tended to feature slightly ugly, uninspiring designs, but the Lomo’Instant is cool and blocky. The camera sports a similar faux-leather covering to the Lomography Lomokino and Belair models, and is available in black or white. There’s also a model that’s covered real brown leather with a slightly higher price tag of £109. We like the white version best, as its shows off the minimalist design more, but the finish is rather prone to picking up marks and scuffs, and there’s no protective case available to keep it in. The only accessory that is available – aside from the optional lenses which we’ll look at in more detail later – is a shoulder strap (£8.90), which is good news as it makes the hefty camera slightly less cumbersome. As with most Lomography cameras, physical controls are kept to a minimum, but these all feel well placed and intuitive. You can read the rest of the article at TrustedReviews (originally published 23 November 2014). 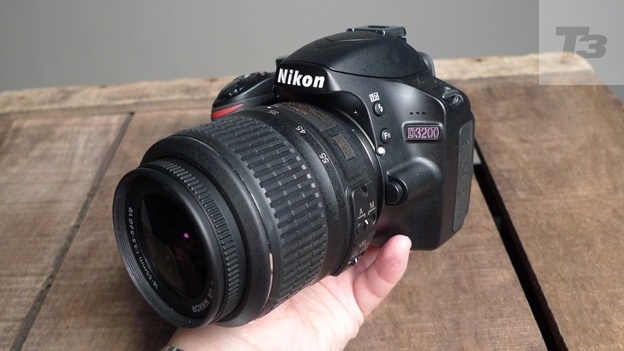 The Nikon D3200 is an entry-level DSLR with a friendly guide mode – ideal for fledgling shutterbugs that don’t know their aperture from their ISO. Following on from its predecessor, the Nikon D3100, though not replacing it, the brand new Nikon D3200 has upped the ante for entry-level DSLRs, thanks to its show-stopping 24-megapixel sensor. Going up against the likes of the Sony Alpha A65 and the Canon EOS 600D, the Nikon D3200 has got its work cut out when it comes to earning a place in ourBest Digital SLRs list. The D3200’s lightweight chassis, which hasn’t changed much in design terms since the previous model, weighs in at just 505g (with battery and memory card) which means that it never becomes cumbersome, even after carting it around all day. At 125 x 96 x 76.5 mm, the chassis isn’t too chunky, but still remains reassuringly sturdy and while Nikon makes no claims about waterproofing, the D3200 proved to be reasonably resilient to the elements when we tested it in the pouring rain. The D3200 is available in conventional black or a shiny red finish, should you be so inclinded. One of the key selling points on the new snapper is the guide mode. Enhanced since its inclusion on the D3100, this nifty feature is easily accessible via the top-mounted dial and holds your hand through the basics. Teaching you how to set up a variety of shots, it even includes examples of how the pictures should look. For example, one of the tutorials shows you how to get the best picture of a sunset by tweaking the white balance to capture the red tones. Follow the suggestions, alter the settings and the picture will change to reflect how the finished article will look. There may be a few kinks to iron out (such as the overeager pop-up flash), but it’s a damn good starting point for newbies. You can read the rest of the article at T3.com (originally published 17 May 2012). 1. The cost of buying and processing film may be relatively high to those who are used to fitting hundreds of snaps onto an SD card, but the camera itself needn’t cost you the Earth. 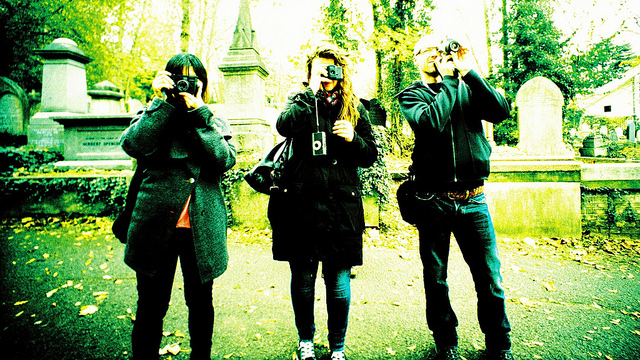 Analogue specialist Lomography offers a wide selection of low-cost film cameras such as the sub-£50 Diana Mini and wide-angle La Sardina, or you can get yourself a Holga or Blackbird if you’ve got a bit more budget to play with. Most of the top camera brands are digital-only nowadays, but you can pick up second-hand units such as the popular Canon AV-1 on eBay or in specialist camera shops. 2. If you’re after steady, quality shots, then using a tripod is a no-brainer. Most cameras sport a standard tripod mount on the underside making it easier to simply fit your accessory of choice. Pro tripods will cost you a fair few pennies but there are plenty of cheaper options around, not least Joby’s wide range of flexible Gorillapod tripods which can be adjusted to suit their surroundings and won’t break the bank either. 3. An easy way to add a splash of colour to your snaps is to make use of a colour filter on the flash. Some flash models will come with their own set of colour gels or you can pick up a cheap set like these colour lens and flash filters from Photojojo, which as the name suggests, can also be held over the lens for colourful effect. Alternatively you can make your own filters for next to nothing using coloured sweet wrappers or by colouring a piece of sticky tape or clear plastic with a marker pen. 4. Investing in some extra lenses is a good idea, even if you’ve only got a lo-fi toy camera. Even if it’s a fixed focus snapper, attaching a close-up, wide-angle or fish-eye lens using gaffer tape can produce some surprisingly good results (although it might make you look like you’ve lost the plot slightly). 5. Instant cameras make a nice retro-flavoured addition to your camera collection, whether that’s a vintagePolaroid SX-70 or a brand new Fujifilm Instax 210. Alternatively, Lomography sells instant backs for itsLC-A+ and Diana+ models, which can be easily fitted and offer you Polaroid-style snaps (albeit the size of a credit card), without the hassle of getting the film processed. 6. Getting yourself a negative scanner could well save you a lot of pennies as you’ll only need to pay the photo lab for processing. There are plenty of models to choose from, ranging from budget negative scanners for under £50 to multi-function flatbed scanners that can be used for documents and photos as well. 7. You can get all kinds of camera film, although it’s not quite as readily available as it once was. There are still limited supplies available in most chemists and camera shops, but specialist shops, like the Lomography stores, are your best bet. It’s also worth having a scout around on eBay for expired film. It may be out of date, but it’ll still work and you might even get some fancy effects that you weren’t expecting. 8. When choosing which film to use, it’s important to check the ISO, which refers to the speed of the film. The higher the number, the faster the film. If you’re shooting on a gloomy day then it’s best to go for a high ISO (800 and over), while you’ll need a very sunny day to get any decent results from a film with a low rating (100 and under). Film with an ISO rating of 400 is a safe middle-ground for most conditions. 9. If you want some cool results, then try to think beyond the classic colour neg film. Black and white film will give you moody monochrome shots, while slide film offers striking colour saturation for a bold, arty look. It’s also worth checking out redscale film which will give your snaps a nostalgic orangey-red glow. 10. Colour infrared film is notoriously hard to track down these days since Kodak stopped making it a few years back, and it now only occasionally turns up on eBay. Originally designed for aerial photography,colour infrared film offers crazily bright colour combinations, especially when teamed with a suitable colour lens filter. 11. If you’re feeling extra brave, then try re-spooling and re-using your film. This will effectively give you two sets of shots on one film and it’s pure luck as to whether this will give you awesome results or just a big mess, which is part of the fun. All you need to do is rewind your film as you normally would, but leave a small section of film poking out of the canister. You can then simply re-load the film into your snapper (or a different camera if you want to mix up the results). 12. If you’ve got yourself a vintage Polaroid snapper then the only place you’re likely to find the genuine Polaroid instant film is on eBay. The good news is that the clever folk at The Impossible Project, formed by former Polaroid employees, offer a new generation of instant film, which can easily be picked up online or in specialist camera shops. You can also still buy Fujifilm instant film for use in its Instax Mini 7 (also re-badged as the Polaroid 300) as well as Lomography’s instant camera backs. You can read the rest of the article on Gizmodo.co.uk (originally published 05/12/11) and it also appears on Lomography.com. When the nice folk at Kodak asked if I wanted to get involved with the Disposable Memory Project, I jumped at the chance, given that I’m a huge fan of film photography. The Kodak chaps recently provided me with some disposable cameras for a feature where I spent seven days working only with film – no digital allowed – so I was keen to get stuck in once again. 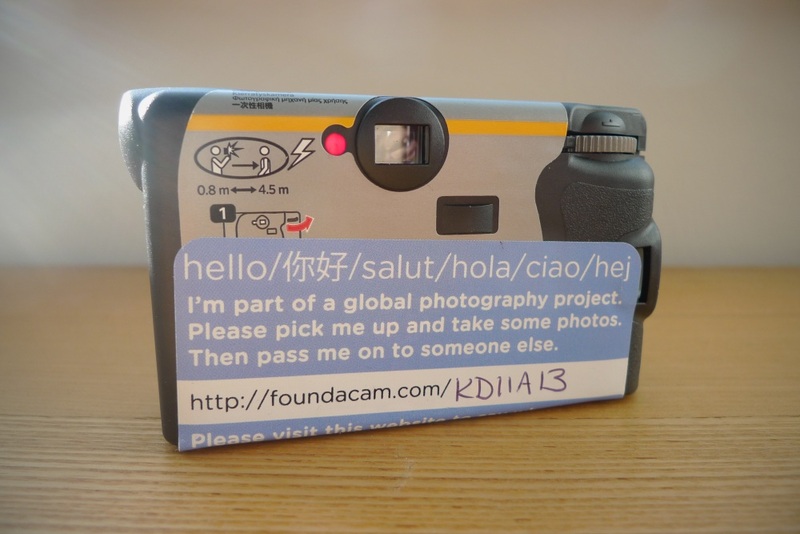 Established in April 2008, the Disposable Memory Project is a “global photography experiment” where throwaway cameras are passed on to others or left in public locations around the world. Each camera includes a message urging the finder to take a few pictures and then pass the snapper on. There are also instructions on where to return the camera to when the film is finished. More than 350 camera have been released already and you can see the results from those that have made it safely home over at the Project’s website. So far, more than 70 countries have been visited, with the cameras racking up over 440,000 miles of travel between them. 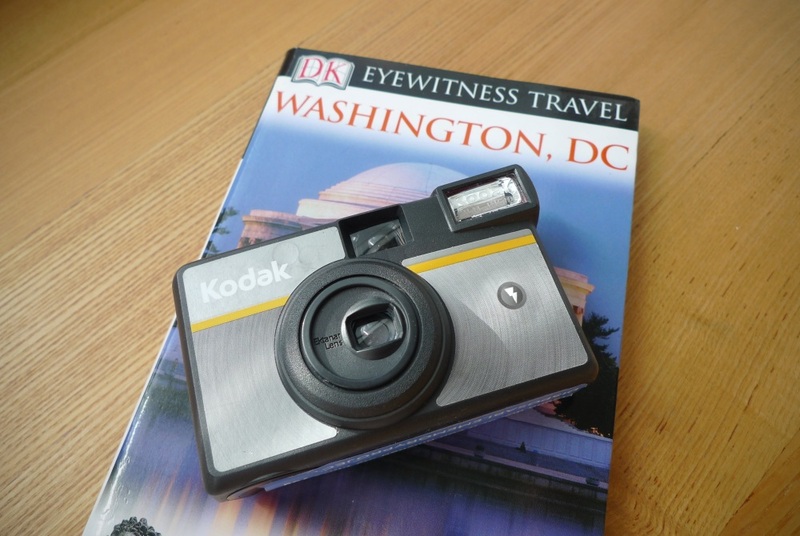 My Kodak Ultra single-use camera started its journey in South London and spent a short time travelling around the Big Smoke before jetting off to Washington D.C in the US of A, courtesy of my mum. From there, who knows where it will end up. You can follow its progress on its own little tracking page. 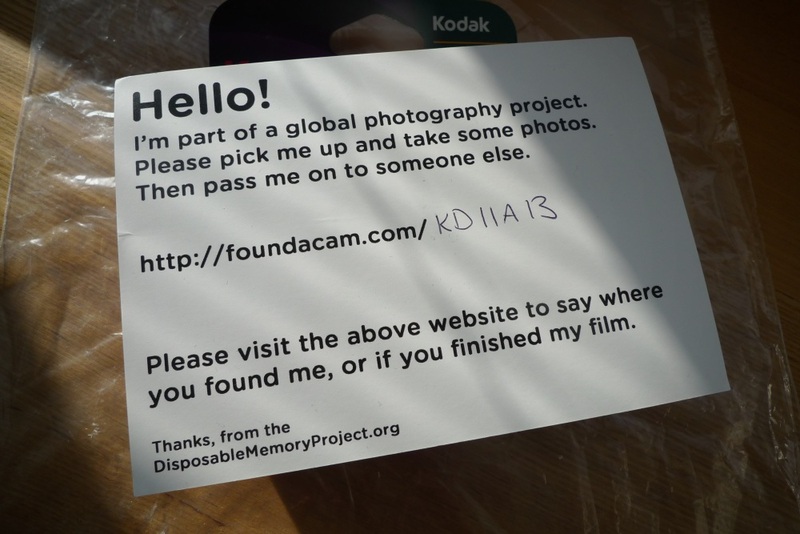 If the Disposable Memory Project sounds like your kind of bag, then you can get involved yourself by contacting the chaps in charge or follow the Twitter feed on @foundacam.